David Blaine has survived three days of being subject to intense electrical current in New York City for his most recent feat. 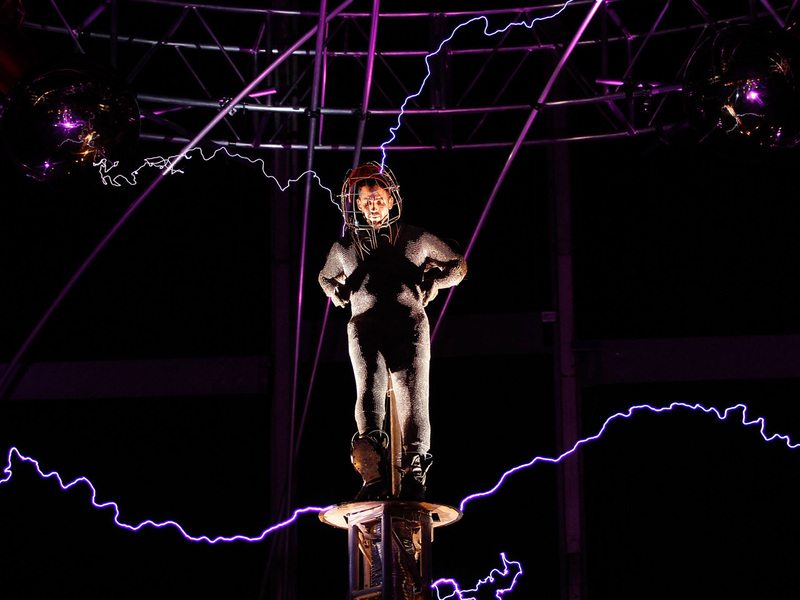 The magician emerged shortly before 9 p.m. Monday after spending three days and three nights standing in the middle of 1 million volts of electric currents at New York's Pier 54. A spokesman says Blaine was able to walk with assistance, speak and kiss fiancée Alizee Guinochet before being taken to a hospital to be examined. The 39-year-old Blaine wore a chainmail bodysuit as a barrier between himself and the currents, emitted by Tesla coils. The stunt was called "Electrified: One Million Volts Always On" and was streamed on YouTube.